Kylie Jenner and Tyga have called it quits for the 90th or 91st time, and TMZ is reporting that—much like Jenner’s “ultra-long wearing lip liner with a creamy texture that glides across the lips for a very easy and comfortable application”—this one’s one’s gonna stick. The cosmetics entrepreneur and aspiring rapper broke up sometime before last week’s Met Gala, which explains why they did not walk the red carpet together. 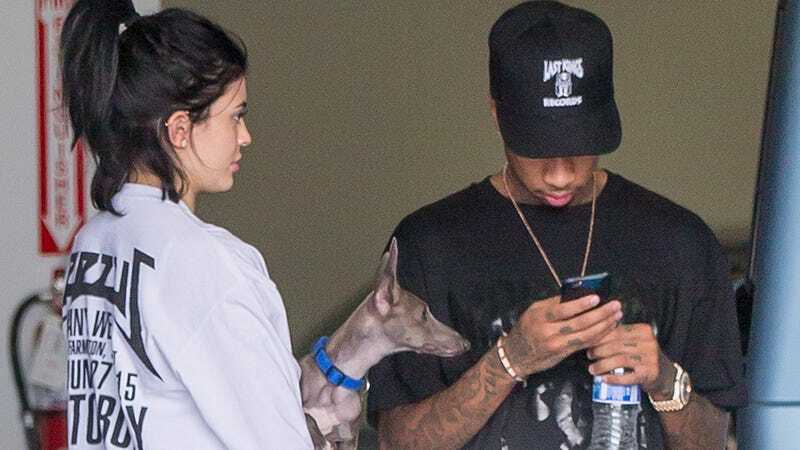 Though Kris Jenner has yet to provide a reason for not renewing Tyga’s contract, TMZ writes that he was recently seen at lunch with his mother and an unnamed model. The the breakup was acrimonious. We’re told Kylie was bent out of shape that Tyga had the nerve to go to the Met Ball. He was only invited because of her, and she’s mad at herself that she didn’t think to have him made persona non grata. Osbourne update! Though the initial news regarding their split focused on a rumored affair between Ozzy and stylist Michelle Pugh, Page Six is now reporting he was cheating on Sharon with several women. Family insiders say the rock icon — whose wife Sharon Osbourne threw him out of the house last week when she discovered his indiscretions with Pugh — also hooked up with others in the last year, including a woman he met in AA and a member of his tour staff. Bring back The Osbournes as a six-episode special, MTV. Please. Watch Serena Williams’s Snapchat story about getting sick after eating fancy dog food, then follow Serena Williams on Snapchat.